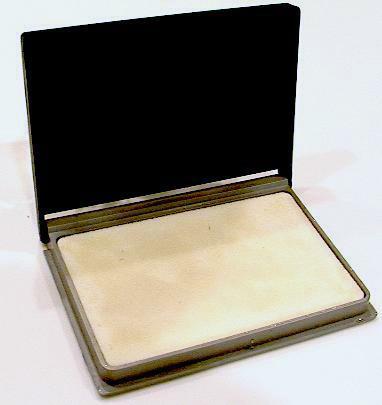 Microcellular pad holds a large quantity of ink and wears much longer than conventional sponge or felt pads. 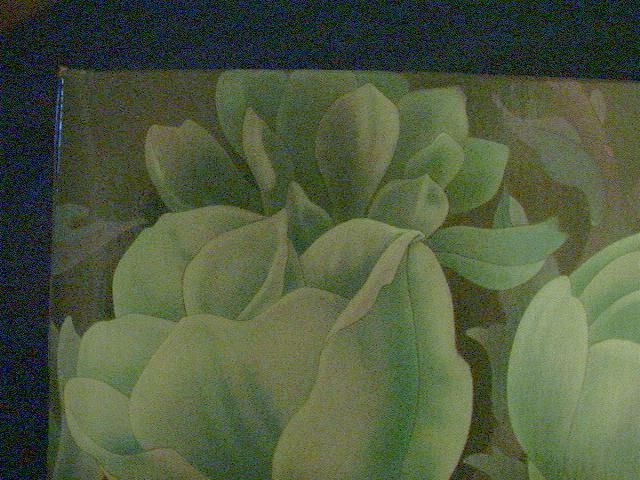 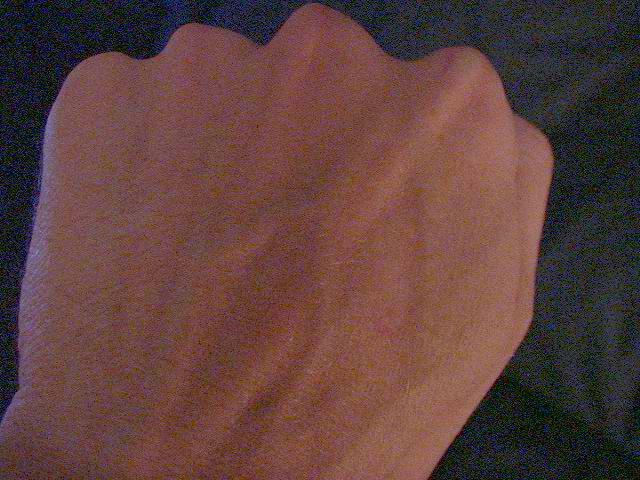 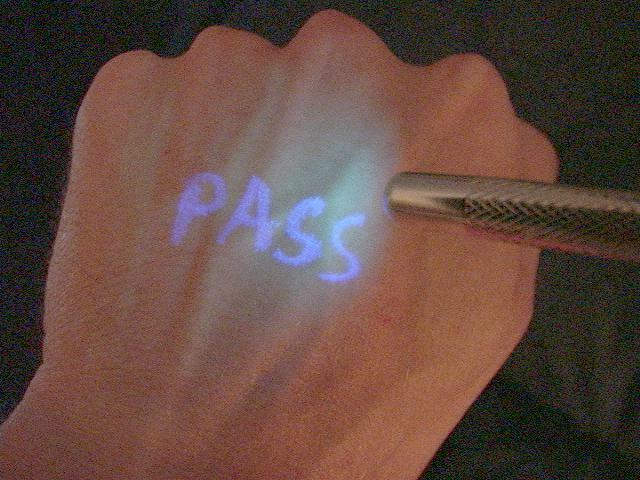 Pad can be re-inked with our bottled UV Ink. 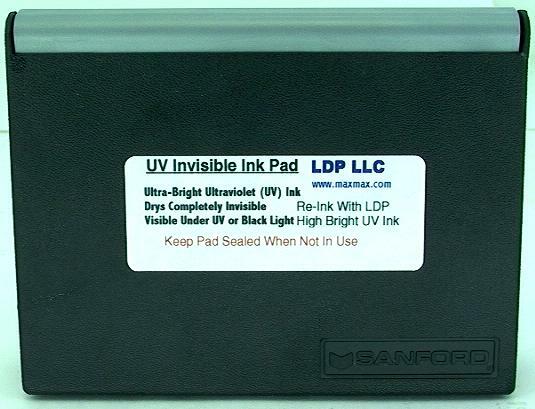 We recommend that when ordering the Stamp Pad that you also order replacement UV Stamp Pad Ink. 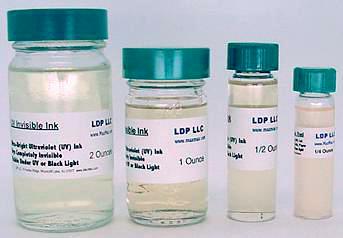 The UV Ink used is alcohol based and evaporates more quickly than traditional oil based visible inks. 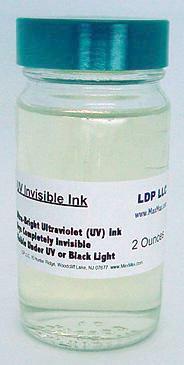 UV Stamp Pad Ink is only available in 2 Ounce size. 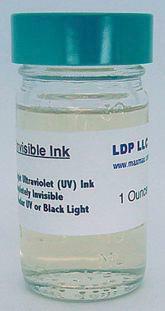 The 2 ounce bottle of Blue Invisible Ink is also available with Stamp Pad Ink which is a slower drying ink. 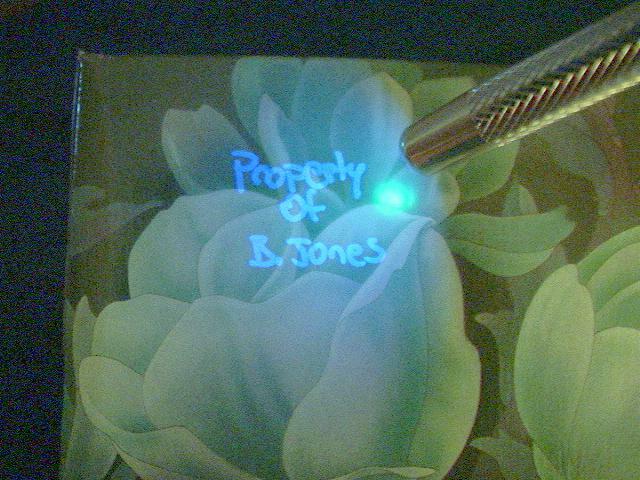 The slower drying helps stamp pads not dry out as quickly as the normal UV ink.